We can't let that go past without comment, even if that comment is woof, woof, bark! The dogs are an integral part of the CJS Team meaning that every day is take your dog to work day here. When we wrote our Meet The Team page they got an honourable mention. 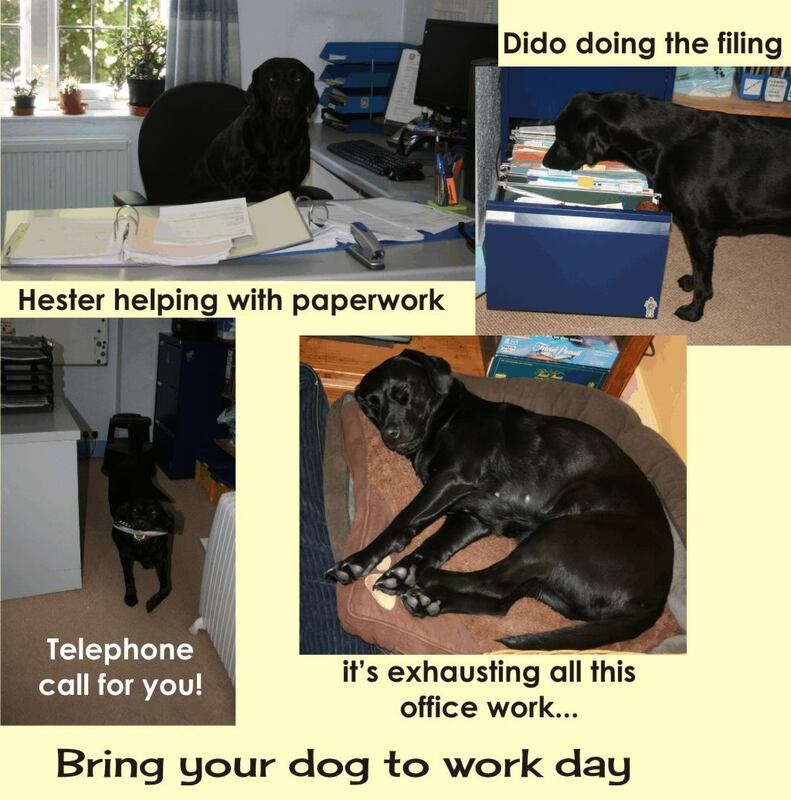 "And not forgetting the office dogs! Kerryn's labradors are an integral part of the Team providing light relief and occasional stress busting services! (you really, really need my very stinky soft toy! !, I'm desperate to go out and I think you need some fresh air too...)"
You can meet them on Kerryn's personal blog. There is a sound reason behind all this frippery as hinted at in their 'introduction'. "Many scientific studies have concluded that the presence of pets can substantially reduce a person’s stress level in the workplace. Increased job satisfaction, team co-operation and morale have all been reported in employees that spend the workday with their pets. Since 2014, the year we established Bring Your Dog To Work Day, we have witnessed a growing number of businesses across the UK that allow dogs in the workplace. So in addition to raising funds (for two doggie charities), Bring Your Dog To Work Day is likely to boost the productivity and happiness of the employees within your company. And it means hundreds if not thousands of pets around the UK can now go to work alongside their humans!" From the Bring Your Dog To Work Day website here. And for many countryside workers out of the office, on their own all day the dog in the van is their constant companion and often an ice-breaker with visitors or when meeting a potentially 'difficult client'.